Throughout transportation by a comfortable van, mini bus or bus. 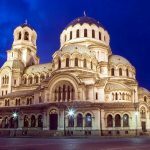 This tour is dedicated to remains of the oldest civilization on the Bulgarian lands – the Thracians. Herodotus announces the Thracians were one the most numerous people in the world. 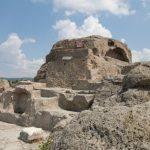 They didn’t have their writing, but had left priceless heritage: unique frescos, ceramics, golden and silver jewelry and instruments, discovered in the Thracian tombs. 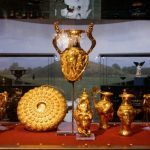 The Thracian treasures, which are rare masterpieces of jewelry, were on display at the fabulous “Louvre” museum last spring. 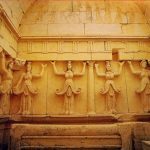 You can see this type of Thracian masterpieces on your trip around Bulgaria. Other interesting must-sees are the nature, the local traditions and cuisine, and, of course, the local wine – a divine product, well-mastered by the ancient Thracians, too. Arrival to Sofia. Accommodation in the hotel. Dinner and overnight. 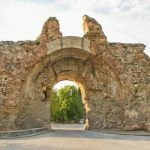 After breakfast – panoramic tour around the Bulgarian capital – an 8500 old city called “My Rome” by Emperor Constantine The Great. 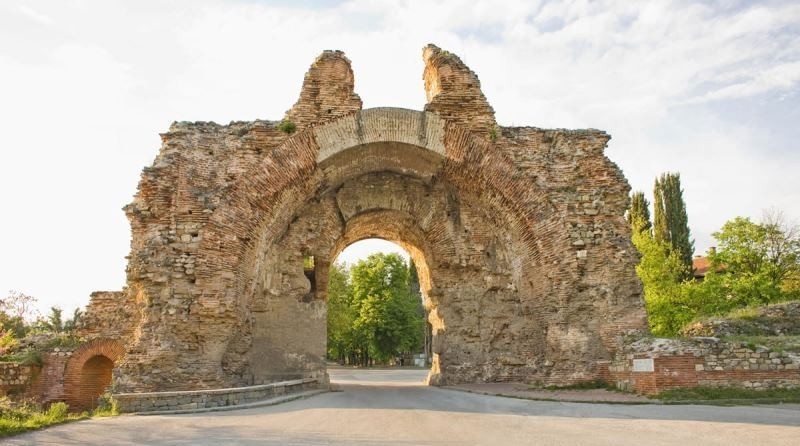 Visit to the most fascinating places of interest: Ancient Serdica (the old name of the city) with the newest archeological discoveries from Roman time, exhibited next to the Bulgarian presidency. 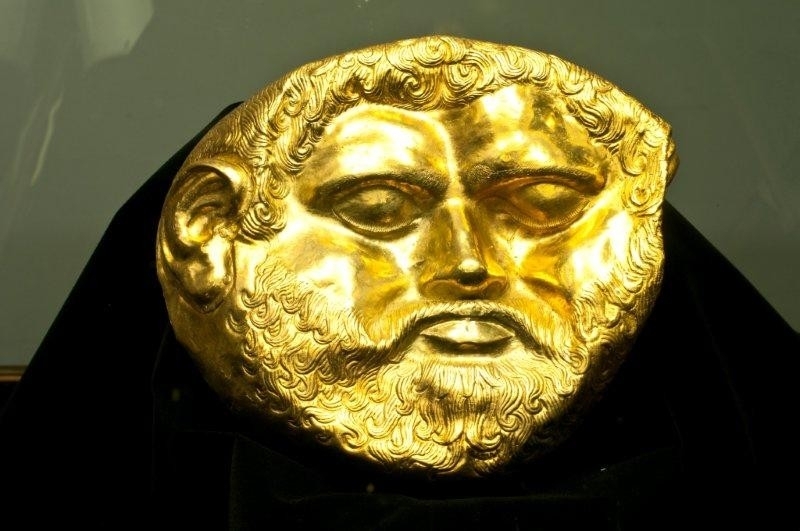 Visit of the Archeological Museum, exhibiting the golden mask of the Thracian king Teres and the bronze head of the Thracian king Sitalces, which have deeply impressed the specialists during the Louvre exposition. The trip continues with the Alexander I square where the Royal Palace and the National Theatre are located, “Tzar Osvoboditel” boulevard, the Parliament, the Church of ”St. 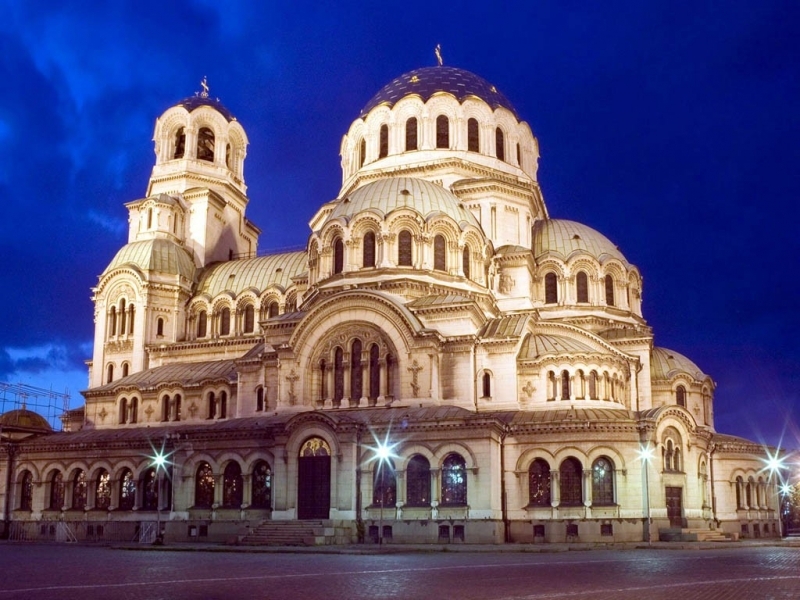 Sofia” (the name means wisdom), which had given the name of the city, the Sofia University and the “Alexander Nevski” cathedral (one of the biggest Orthodox Cathedral on the Balkan peninsula). Next we will visit the most remarkable object in the outskirts of Sofia, in the foot of Vitosha Mounatin. 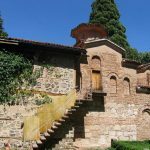 This is Boyana Church – a medieval Bulgarian Orthodox church situated in Boyana district, near Sofia. The monument is included in UNESCO World Heritage List. The church is one of the most completely and perfectly preserved monuments of East European medieval art. The frescoes in the church, painted in 1259, make it one of the most important collections of medieval paintings and are initiating the beginning of the European Renaissance. 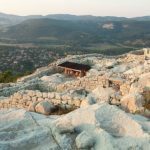 After breakfast – visit of the Thracian temple-complex in Starossel village. 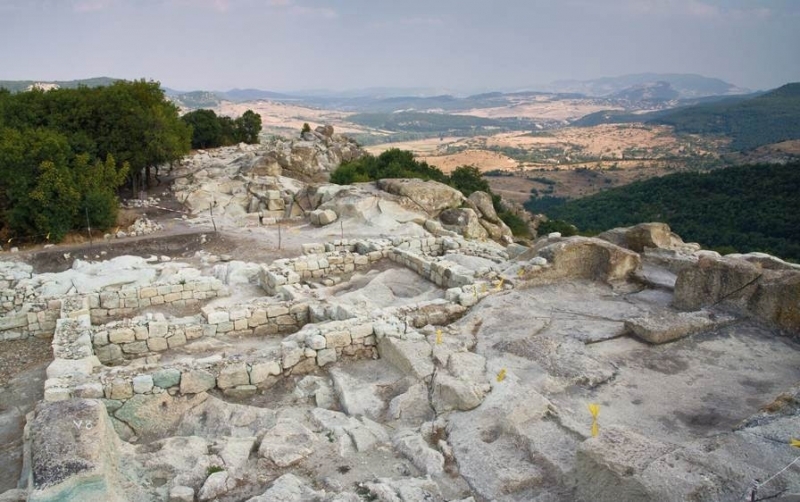 This is the largest Thracian royal and cult- complex with mausoleum (tomb-heroon), discovered so far. It is dated back to V c. BC. 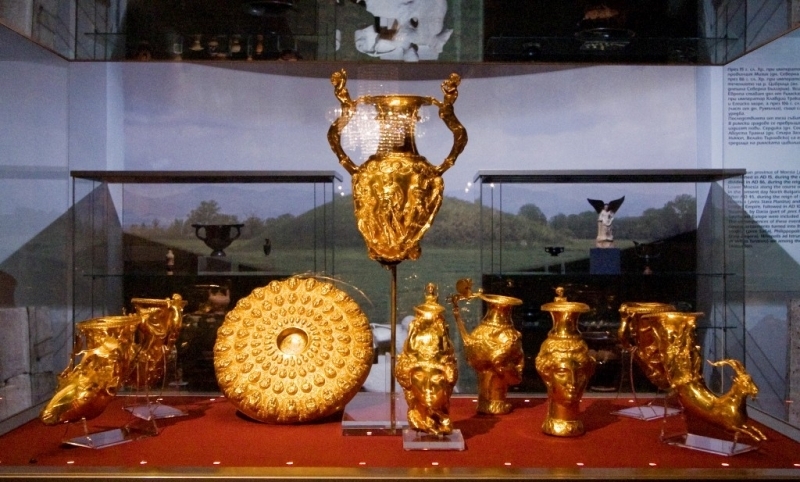 Departure to Panagurishte – old Renaissance town, visit of the museum, where the world – famous golden treasure –masterpiece of the Thracian cultural heritage is exhibited. Set off to Hissar – a town founded thousands of years by the Romans, thanks to its curative mineral springs. In the times of late Antiquity (IV-VI c.) the town was named after the Roman Emperor Diocletian and was one of the five biggest cities in the Roman province Thrace. A unique tomb with mosaics and frescos representing the symbol of Bulgaria nowadays – the Rose, will be seen. Accommodation and dinner in SPA hotel in Hissar. 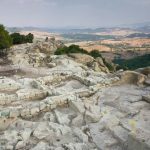 After breakfast – set off to the Valley of the Thracian Kings and Roses. We start with Skobelevo village with the Ethnographical Complex “Damascene”, which works also as a family-run rose oil distillery from more than 20 years. The hosts will show how the famous Bulgarian rose oil (used in the perfumery) is produced. The Bulgarian rose oil is used as base of world-famous perfumes as Kenzo, Chanel and etc. 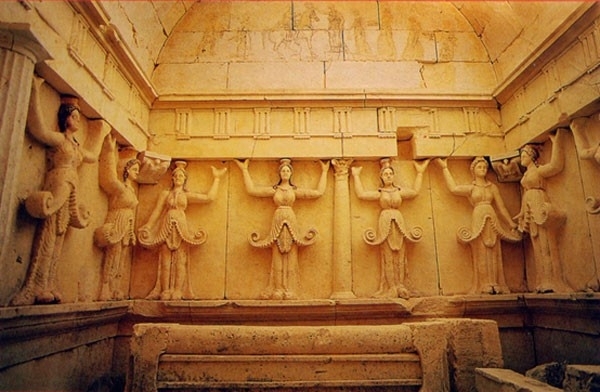 Visit to the replica of the Kazanlak Tomb (IV-III c. BC). 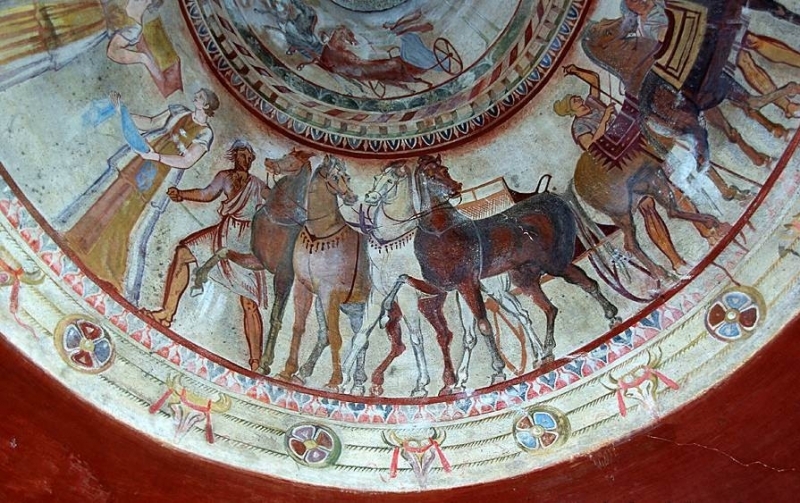 It is included in the UNESCO World Heritage List for its Early Hellenistic frescoes, showing the life-style and the traditions of the ancient Thracians. In the afternoon is coming visit of the town of the lime-trees – Stara Zagora, successor of the Ancient Roman town Augusta Trayana, where an authentic Roman street from the time of Emperor Marcus Ulpius Traianus (I-II c.), the forum of the ancient town and numerous antique findings (including the material heritage of the Thracians) are preserved. Accommodation and dinner at the hotel. After breakfast departure to the Mountain of Orpheus – Rhodopes, which separate Bulgaria from its southern neighbors – Greece and Turkey. 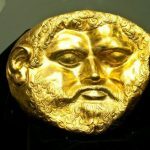 Here the famous Thracian musician Orpheus was born. 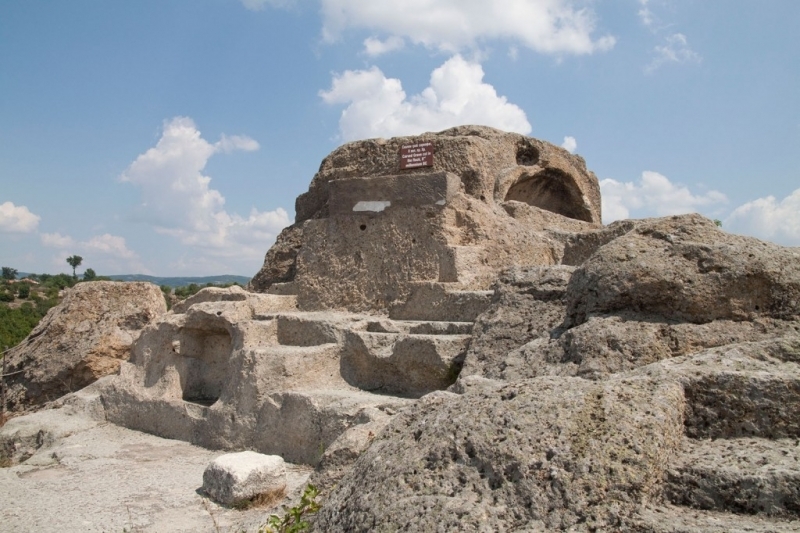 Visit of the Thracian tomb next to Alexandrovo village, dated back to IV c. B.C. 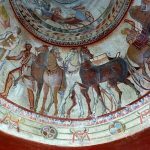 with the magnificent frescos presenting hunting scenes, typical for the Thracians’ believes for the otherworld. Sightseeing of the museum complex of the Thracian art in the East Rhodopes, inaugurated by the Japanese heir to the crown Prince Akishino. 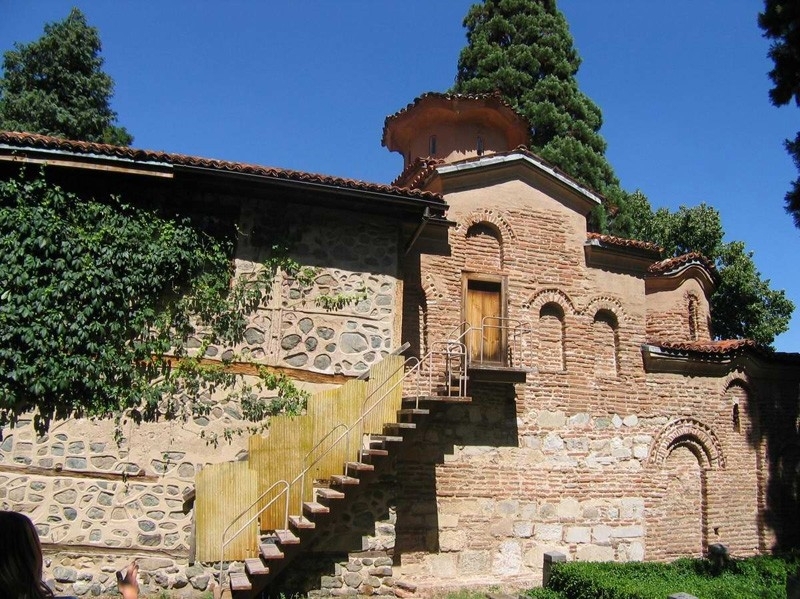 Short break in the town of Haskovo – the city of St. Virgin Mary, named after the highest in the world statue of Holly Mother with Jesus, situated on the hill of the town. Accommodation in the town of Kardjali, the main center of East Rhodopes. Dinner and overnight. 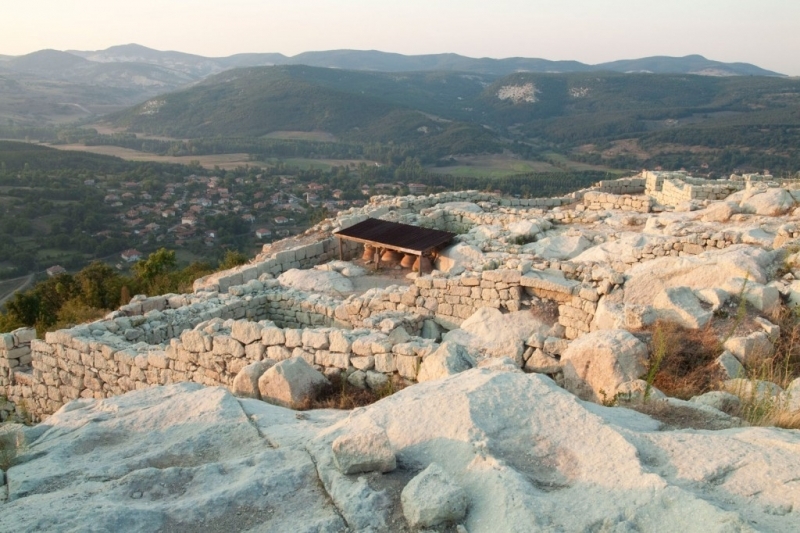 After breakfast – set off to the megalithic town of Perperikon – an impressive Thracian center. According to Herodotus here was located the famous sanctuary Zagrey of the Thracian god Dionysus. His priestess was as famous as the unsurpassed Pythia in the temple of Apollo at Delphi. The Roman historian Suetonius adds that namely in Perperikon, Alexander the Great learned he would be the lord of the world. Departure to Plovdiv, the second largest city in Bulgaria, whose ancient history is associated with Alexander the Great’s father King Philip II. 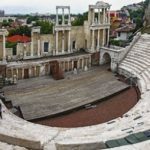 In 2019 Plovdiv will be the new European Capital of Culture. Sightseeing of the main places of interests in the Old Town – the quarter with 19th -century houses, Ethnographical museum, the St. Constantine and Elena Church and Roman ruins: the Antique Theatre and the Roman Stadium. Accommodation at the hotel. Dinner with tasting of some of the most popular wines from Bulgarian grape varieties, again presented in typical Thracian style. Overnight. Breakfast. 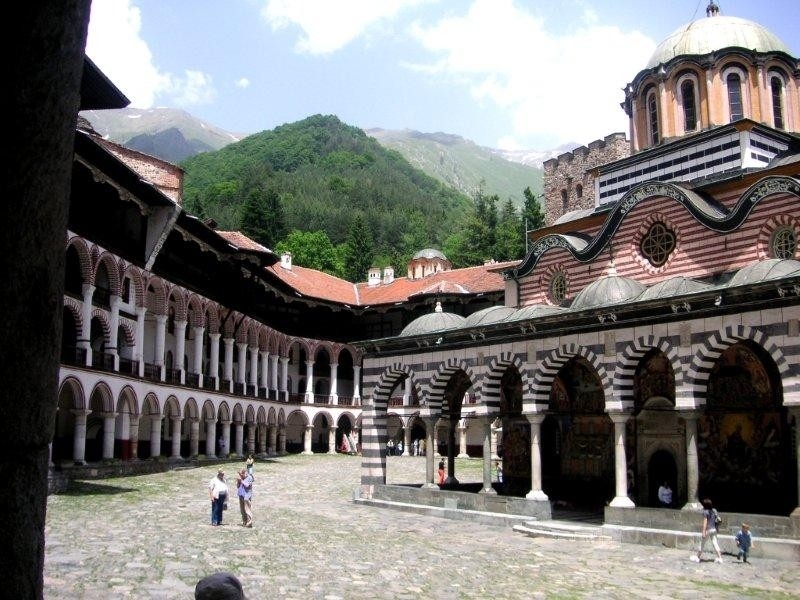 Take off to the Rila monastery, founded in the 10-th c., the biggest Bulgarian medieval spiritual centre. 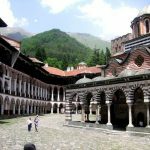 Visit of the monastery with a rich collection of icons, wall-paintings, old-printed books – about 15 000 volumes. It is included in the UNESCO list of world heritage. In the afternoon – return to Sofia. Accommodation and overnight.